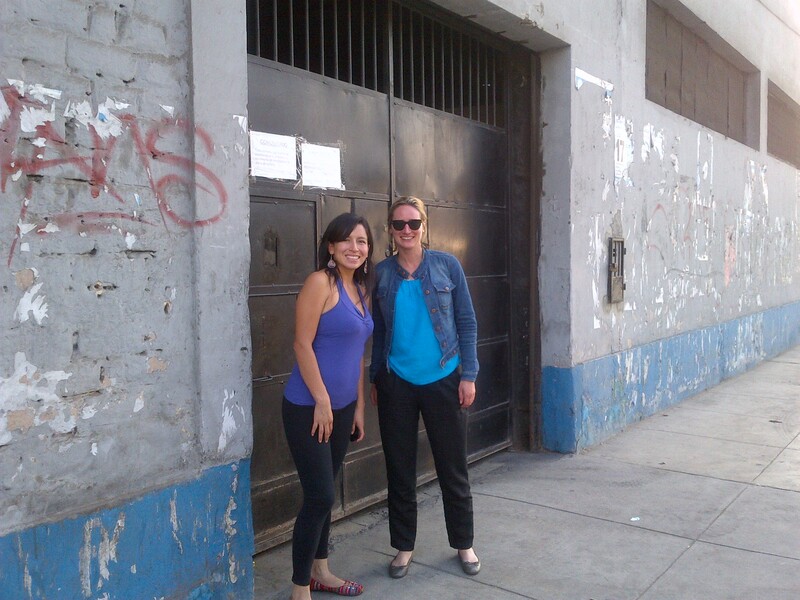 After a long journey through Lima’s heavy traffic to the outskirts of the city, our driver drops us off in front of a rather intimidating black gate. This is where our second chocolate factory visit of the week is located. The company is called Slender and I am told that they are makers of fine chocolate. 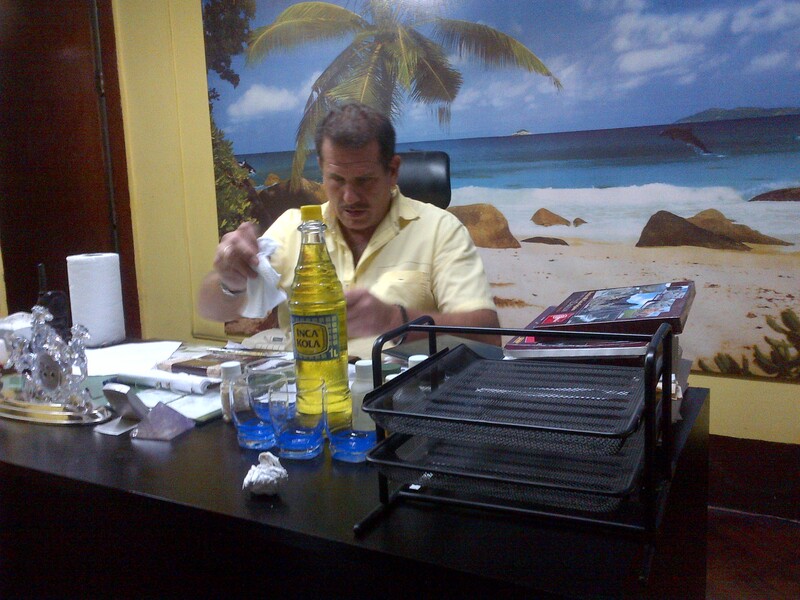 As Vilsic and Lourdes push me through the gates (I later find out that this is one of Lima’s dodgy areas), we are welcomed by Enzo, the owner of the factory. As I scan the reception area, I quickly understand why the company is called “Slender”. 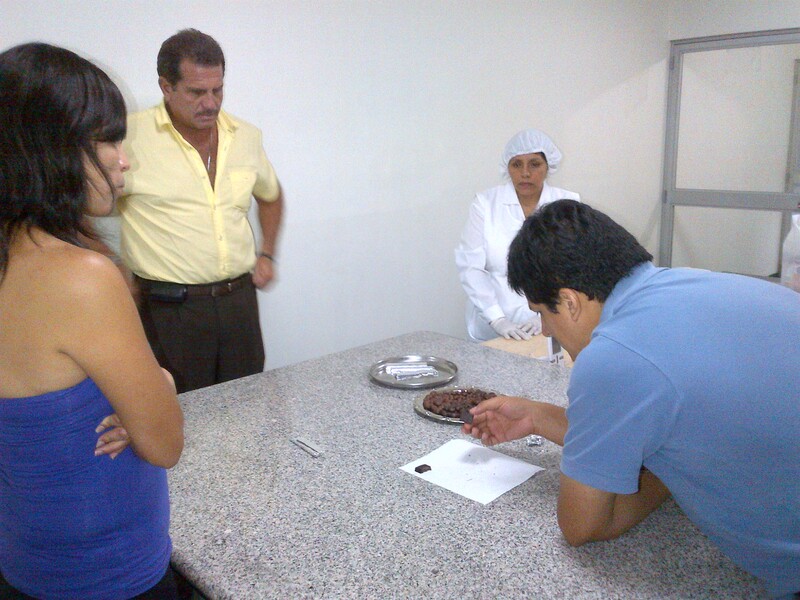 As well as makers of “dietetic” chocolate, Slender manufactures some of Peru’s leading slimming and anti-cellulite gels. As Enzo gives us a tour of the chocolate-side of the factory, I note the many vintage chocolate machines. 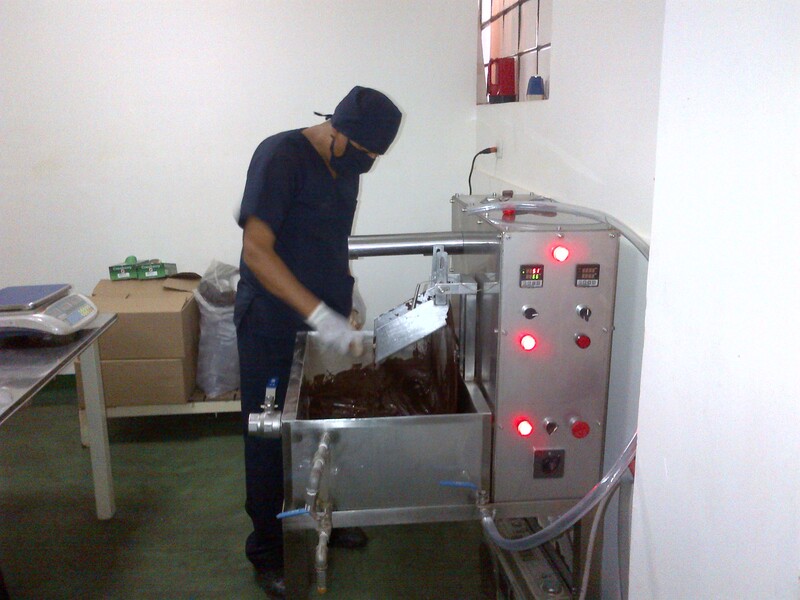 As we are shown the different processes, I begin to understand how each machine is used in this lengthy process of turning the cacao bean into chocolate. Once the beans have been roasted, the beans are placed in a “winnowing” machine, where the outer husks or shells of the beans are removed, leaving behind the nibs. 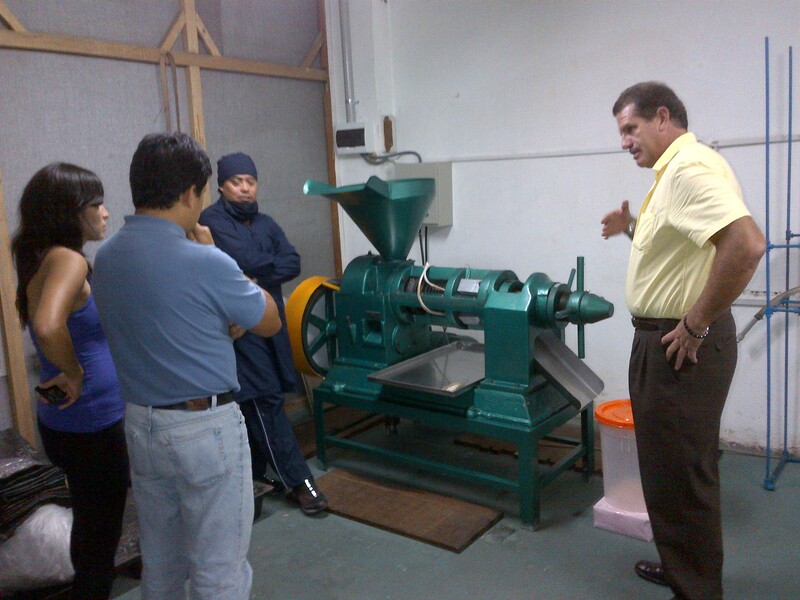 The nibs are then heavily pressed in the green machine by heavy rollers to form a mass of cacao. The nibs are then grounded into a thick liquid called chocolate liquor. The chocolate liquor is what we use to make both dark and milk chocolate. The chocolate liquor, sugar and other ingredients like vanilla or milk are then mixed and blended together to make chocolate. 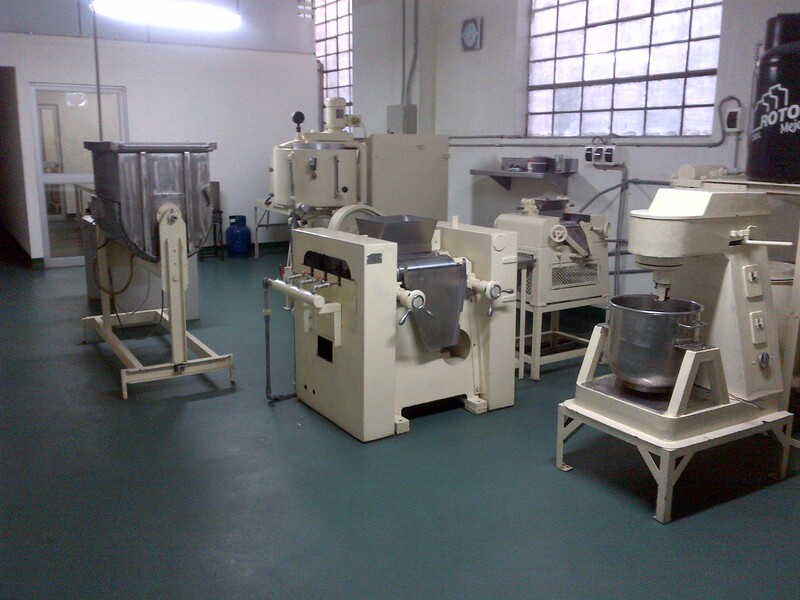 The cacao mass then goes into the third machine that has a kind of metallic basket shape (far left of the photo below), where it is kneaded like dough. Then it is ground into a thick liquid called chocolate liquor, which is what is used to make both dark and milk chocolate. The chocolate liquor, sugar and other ingredients, such as vanilla and milk, are mixed and blended together to make chocolate. 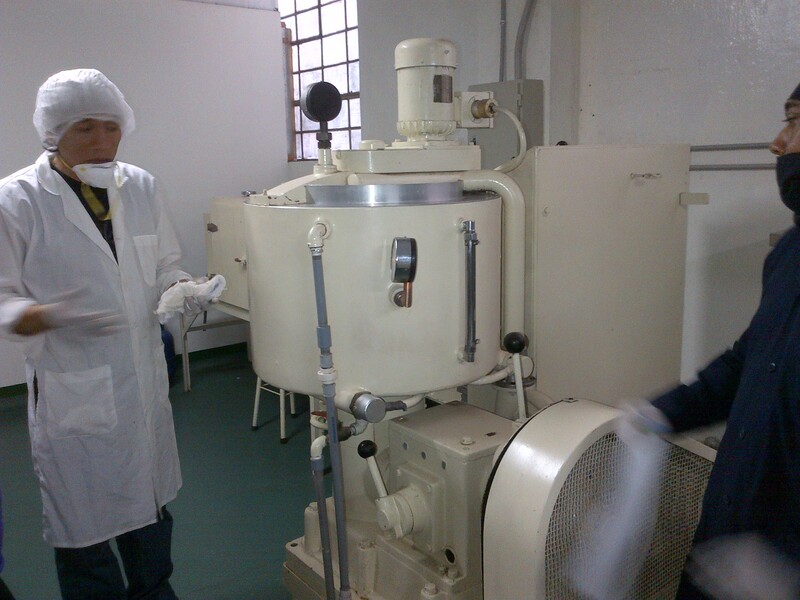 The mixture is then pressed until it is refined to a dry flake. Additional cocoa butter and a small amount of emulsifying agent are added to the flake and mixed to make a smooth paste ready for “conching”. The conching process is probably the most critical part after roasting for bringing out the best flavours of the chocolate. 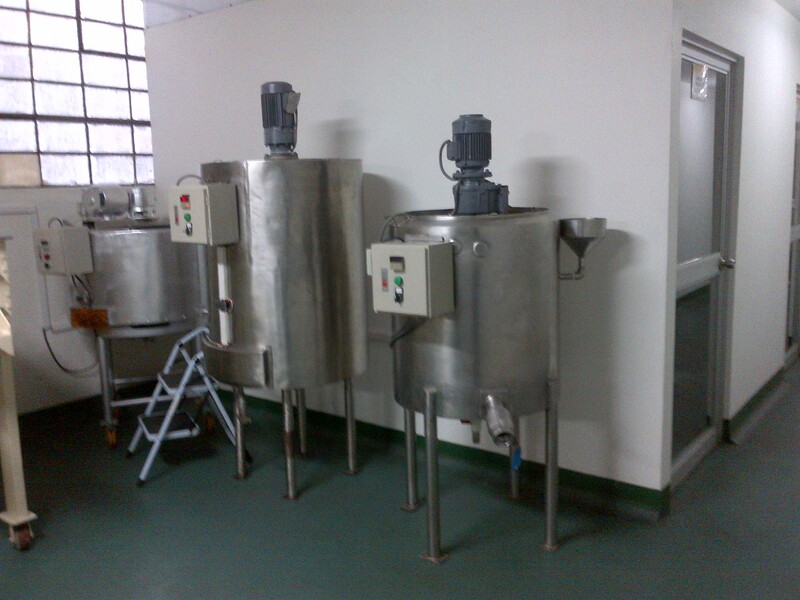 This process takes place in metallic tanks, which are called conches. 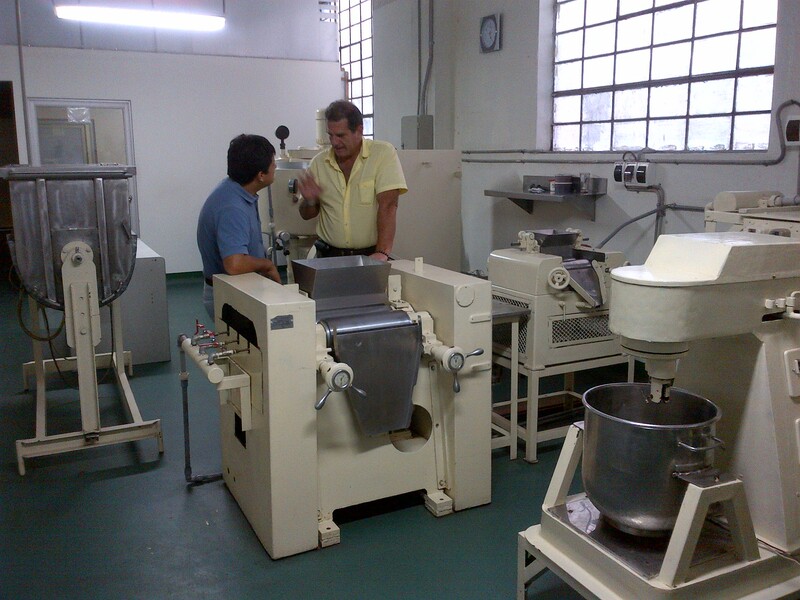 Inside are heavy rollers that plough back and forth through the chocolate mass. The process can last from a few hours to several days. Next, the mixture is tempered. Slender has a machine to help with the tempering process, which improves the quality of the finished product. 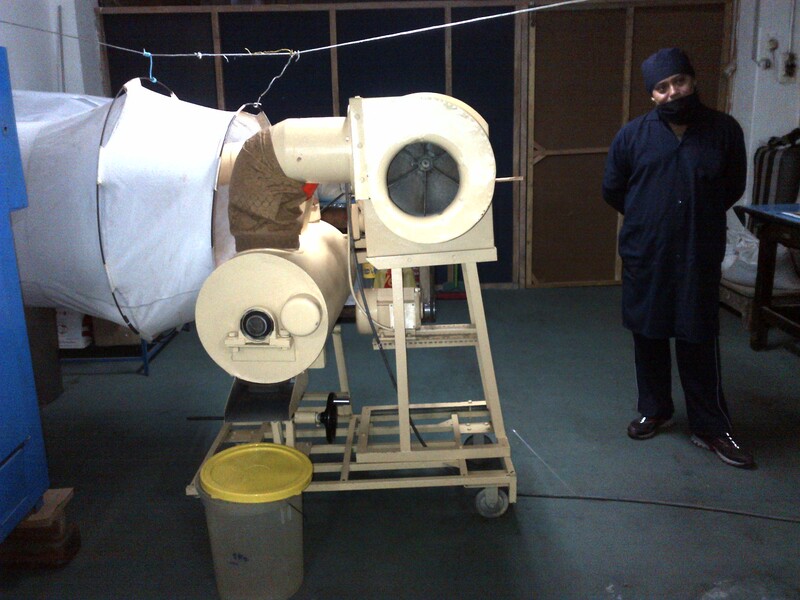 Finally, the mixture is poured into moulds and cooled in a cooling chamber, or in this case a refrigerated cupboard. 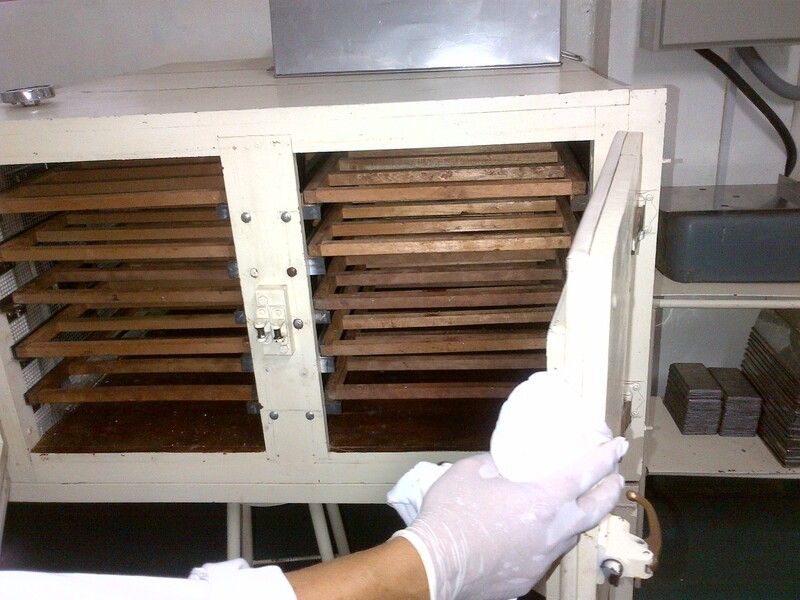 Once cooled, the chocolate is taken out of the moulds and at last is ready for us to taste! Thank you for your kind message. Your message really motivates me to continue sharing and following my passion. 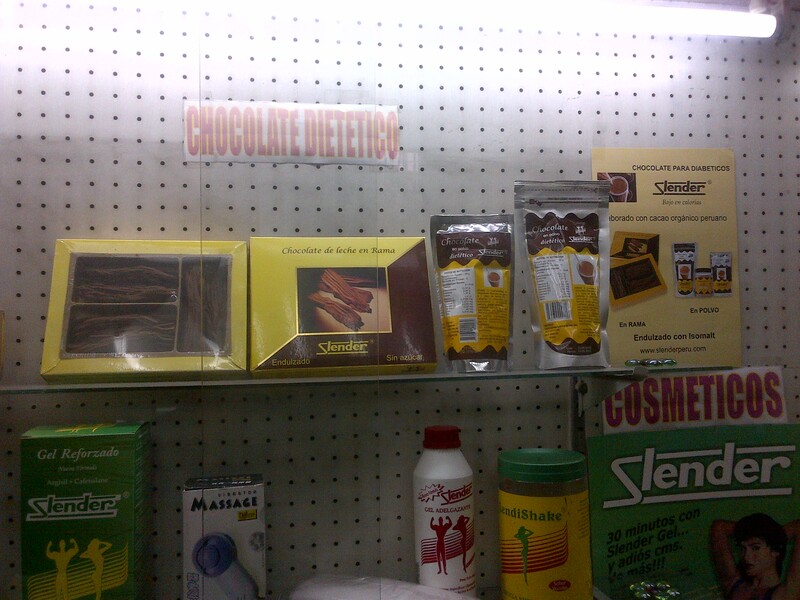 Enjoy reading the other posts, you will learn all about the sources of chocolate!